The Soph X Eyeshadow palette retails for £10 for 24 decent sized eyeshadows and the Highlighter palette is £8 for 8 generous pans. Both palettes are beautifully boxed and packaged and if you've seen Sophie's announcement video then you'll know she actually designed the pattern on the eyeshadow box herself, which I think to me makes it that little bit more special and personalised. Ultra Eyeshadow Palette - Inside you'll find 14 matte shades and 10 shimmer shadows. 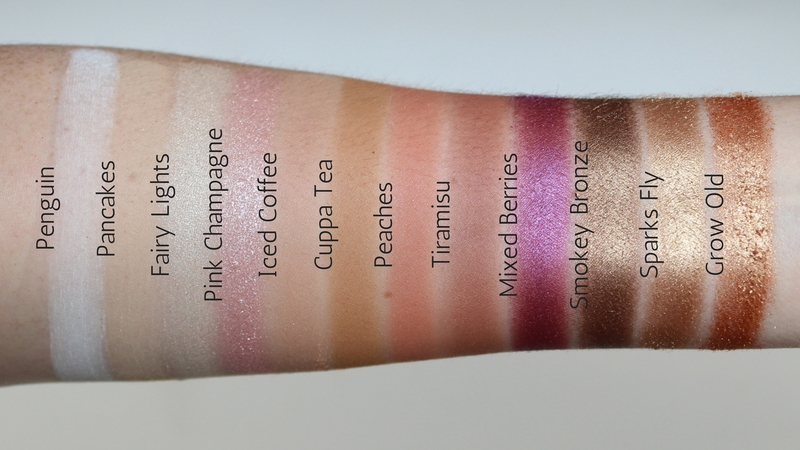 All of the colours are super pigmented, buildable and have a stunning colour payoff. Some of the shimmery shades are more glittery than others and to me are very much like a pressed pigment so I would recommend doing your eyes first before your foundation to prevent glittery fallout. Additionally, you can also use the brown and taupe matte shades as brow powders and contour shades too. If you want to see the shadows applied to the eyes, then be sure to check out my First Impression video linked above, but all in all, this has a wonderful selection of shades for every season! 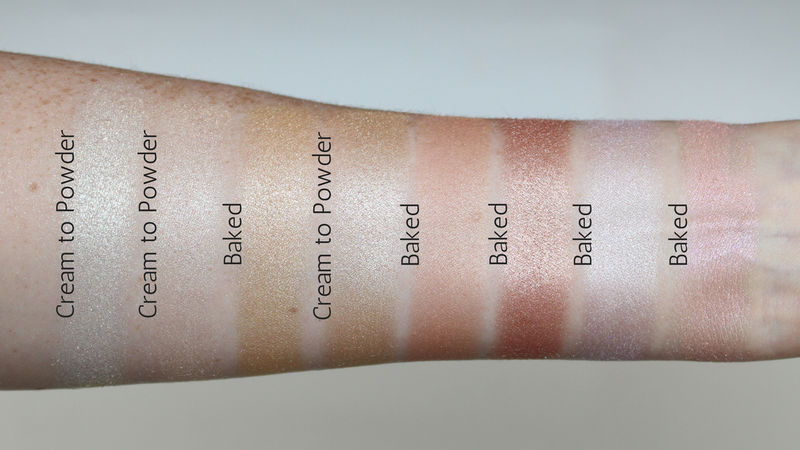 Highlighter Palette - The highlighting palette has a mix of 5 baked and 3 cream to powder shades that suit all skin tones. 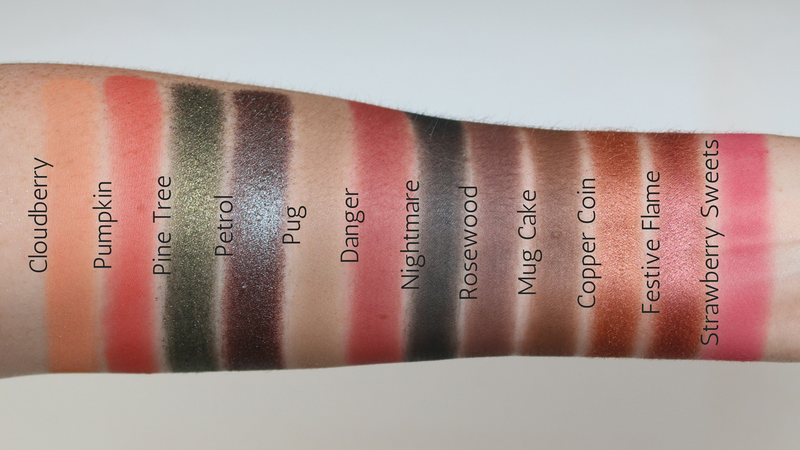 All the shades are super intense and buildable, however, if you're after something a little more subtle for every day, then the far bottom left shade is perfect for this. Again be sure to watch my First Impression linked here for a live demo. Both lasted really well, just over 8 hours to be precise, but if I was being picky I would say the eyeshadows had faded slightly, but apart from that, I was truly impressed! Well, what can I say Makeup Revolution have exceeded my expectations once again! Firstly the price point is so right on both palettes considering these are aimed towards a younger target audience and the fact you get a generous amount of product in each means anyone can afford to pick up at least one of the palettes. Packaging wise I love the thought process behind not only the palettes themselves but also the boxes they come in, so pretty, so girly and totally Sophie. I have been using both palettes non stop since my first impression and I'm in love with the well thought and versatile colour selection, pigmentation and colour pay off. There are literally endless possibilities with the eyeshadow palette for every season, which I know is what Sophie really wanted, however, as I mentioned above I would advise doing your eyes first if you are using the shimmery shades as these do have some fallout because of the consistency. 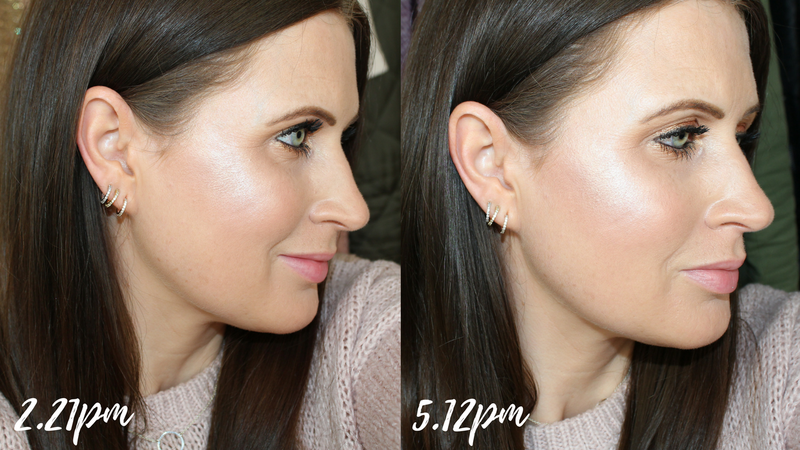 The Highlighters are gorgeous and work on so many different skin tones and for me, the thing I like most about this palette is all the shades are wearable and again work for everyone whether you like something a little more subtle in the day or you want to build up the shades and blind everyone with your highlight at night! So if you're a Makeup Revolution collector or you're a massive fan of Sophdoesnails then I would definitely recommend both, however, if you only want to get one then I would say go for the eyeshadow palette if you love experimenting with colour and eye looks or go for the highlighter palette if you just love highlighter more than anything! I award the Soph X Eyeshadow Palette a 4.8 out of 5 and the Soph X Highlighter Palette a 4.9 out of 5. You can find both directly from the Makeup Revolution website Tambeauty or you can pick up either in Superdrug stores and online.